Frustrated by the limitations of cross-race communication in her predominantly white town, a young African-American girl teaches herself to sign. 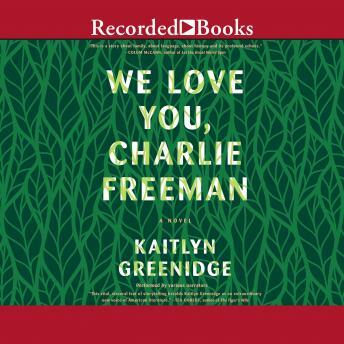 Years later, Laurel uproots her husband and daughters from their downwardly-mobile, over-educated and underpaid life in the South End of Boston for Cortland County, Massachusetts. The Freemans are to take part in an experiment: they've been hired by a private research institute to teach sign language to a chimpanzee. Told primarily from the point of view of Laurel's elder daughter, Charlotte, the novel shifts in time from the early 1990s to the founding of the Institute in the 1930s to the present day. With language both beautiful and accessible, Greenidge examines that time in each person's life when we realize the things we thought were normal may be anything but.